Take a stroll to the corner of Chapel Walks and Pall Mall, just off Cross Street, and you’ll discover Chaophraya above Sam’s Chop House. 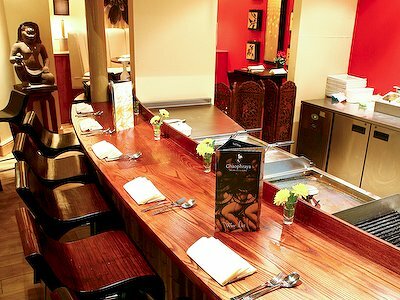 With a 120 cover a-la-carte restaurant and a 200 capacity bar this is arguably the best Thai restaurant in Manchester, offering a welcoming and relaxed approach to modern eating, with quality food served with a refreshingly genuine smile. 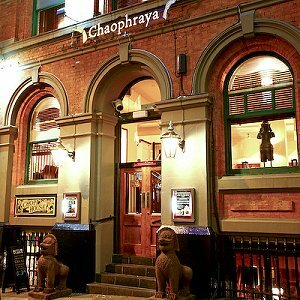 Perfect for any occasion, from a quick lunch to an evening meal, at Chaophraya Manchester, you can relax in true Thai style. For something a little different at lunchtime, why not try the Yee Rah Sizzler Grill, which offers a delicious and fun lunchtime experience. Simply choose your ingredients from the vast variety available and relax as the top Thai chefs prepare a lunchtime delicacy before your eyes. 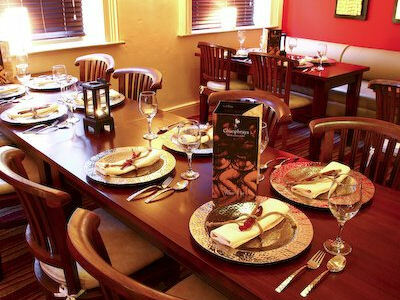 If a more serious business lunch is on the agenda, then head upstairs to sample the a la carte menu, and allow the attentive waiting on staff to take care of your every need. If time is an issue however, just enjoy a relaxing drink from the extensive drinks menu in the elegantly designed bar area. 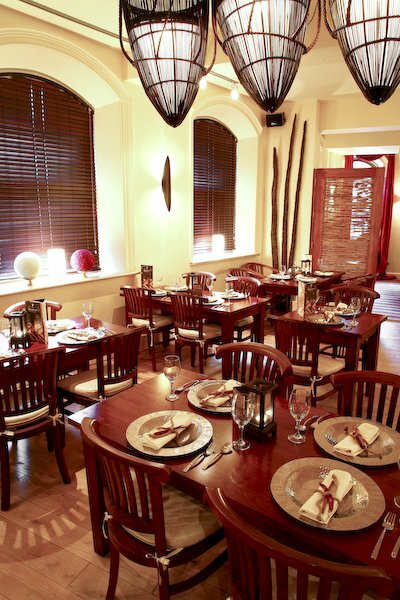 They also cater for business meetings, functions and private parties. To make your visit that little bit different, why not try their authentic Tuk Tuk to transport you to and from the venue. Although you’ll find hundreds of these famous, three-wheeled taxis, zipping about the streets of Bangkok, Chaophraya is the only Thai restaurant in Manchester to offer this alternative form of transport. It is particularly popular with family groups, so if you would like to arrive in true Thai style, call in advance to book the VIP Tuk Tuk.